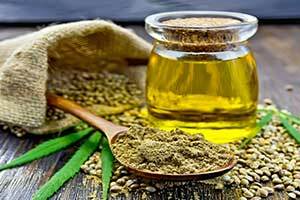 CBD oil is being clinically tested and may become legal for medical use in the future. Industrial hemp has been grown in Kentucky since 1775. There are no federally recognized tribes in Kentucky. For list of the four Kentucky tribes and their locations, see our page about Kentucky Tribes. With no federally-recognized tribes, there are no cannabis opportunities for American Indian tribes in Kentucky. A bill is being proposed that would legalize marijuana for medical use in the state of Kentucky. U.S. Senator Rand Paul is giving his support for the measure. The use of marijuana would be allowed to treat certain medical conditions if passed. Paul believes that the regulation of marijuana should be handled by the individual states and not by the federal government. He supports House Bill 166 because it would allow for an alternative treatment for people that are suffering from their medical conditions. Secretary of State Alison Grimes is also a supporter of the proposed law. There are many conditions that would qualify for the use of medical marijuana. Some of those conditions would be PTSD, cancer, IBS, AIDS. Recently the bill was not voted on by the House Judiciary Committee. However, the committee intends to vote on the proposal before the end of April. That is when the legislative session is scheduled to end. 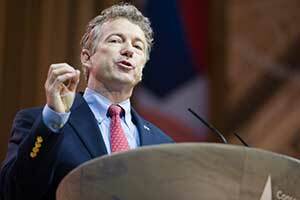 The criminal justice aspect of the current marijuana laws has been advocated by Rand Paul in the past. He has been openly opposed to the Cole Memo being rescinded by U.S. Attorney General Jeff Sessions early this year. He also is a supporter of the current laws that prevent the spending of money by the Department of Justice that would go towards the prosecution of people acting legally under the medical marijuana laws in their state. He has also been in support of Kentucky to legalize hemp in the farming industry.